I have a confession that I would like to share. I do not really like to watch the news because it is a reminder of so much negativity. One of the things I feel that the world needs more of is kindness. Kindness is so important and there just isn’t enough of it in the world today. I’m not trying to fool myself with the illusion but I do believe that kindness cost nothing and can turn someone’s day around. 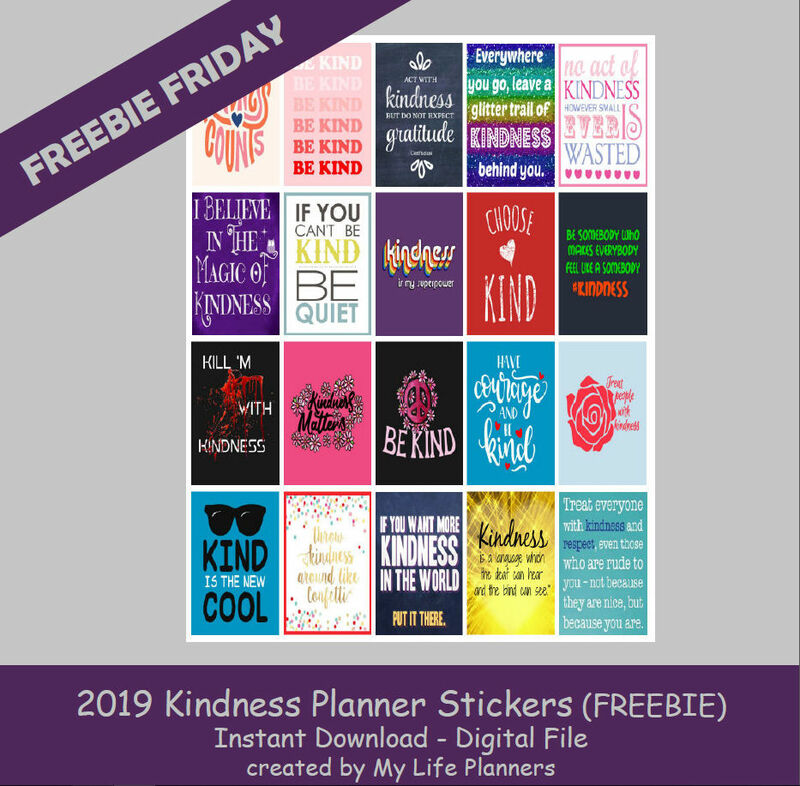 Obviously kindness is the feature for this week’s Freebie Friday. Go ahead and spread some kindness today. Not just in your planner.